Democratic rulers failed to take measures in order to safeguard Pakistan and its people from devastating floods. The rulers are putting the blame for their utter failure on the Metrological Department, saying that they did not predict the calamity. Hizb ut-Tahrir asks these rulers who claim to be representatives of the people, were they unaware of the fact that Pakistan has faced three floods since 2010? Indeed, they are aware, for the floods of 2010 were the biggest in the history of Pakistan. Were these democratic rulers also unaware that for the past three years Pakistan has topped the list of the Global Climate Risk Index? If these rulers really cared for the difficulties faced by the people and considered it their obligation to remove these hardships from their people, then how they could be unaware if these facts? Yet, they claim day and night they represent the people and care for them! These democratic rulers buried the flood commission report that was prepared on the direction of Supreme Court of Pakistan in 2010, rather than implementing it. 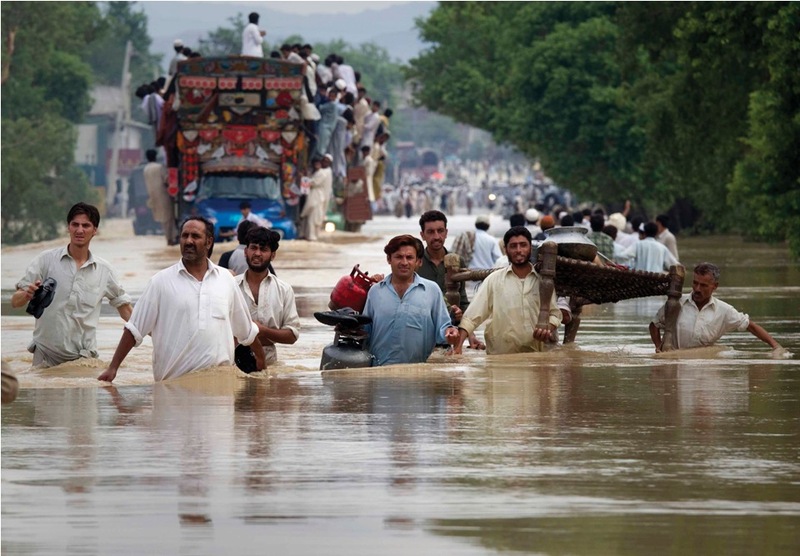 This report pinpointed recommended proposals in order to safe Pakistan from future floods. Successive democratic governments, both of the PPP and the PML-N, did not care for these proposals. Democratic rulers do not use the billions of tax money collected from people to lay down sewerage systems to drain out rain water from the major cities of Pakistan. Instead they used this money to build an expensive metro bus system because no one can see drainage lines lying underground, but everyone can see running buses daily and such wasteful projects are used for their election campaign. Democracy cannot produce politicians who will remove difficulties, hardship and pain from the people as an utmost obligation. Even in America, a self proclaimed champion of democracy and human rights, people are left to the mercy of natural disasters. After Hurricane Katrina in 2005, a Congressional investigation found that FEMA (Federal Emergency Management Agency) and the Red Cross, "did not have a logistics capacity sophisticated enough to fully support the massive number of Gulf coast victims." It placed responsibility for the disaster on all three levels of government, federal, state and local. Therefore the people of Pakistan must reject both democracy and dictatorship. They must enjoin with Hizb ut-Tahrir in her quest for the establishment of Khilafah, as only the establishment of Khilafah will help and support us in removing our hardships. Above all, its establishment will earn the good pleasure of Allah (swt) on the Day of Judgment.